Speco Everlasting meat grinder knives are long life knives with brazed carbide inserts on a cast steel frame. 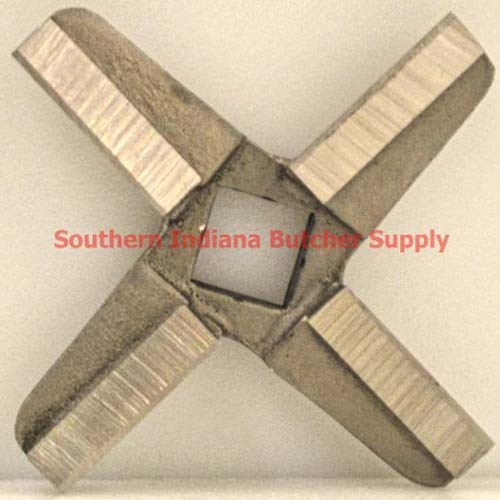 9/16 inch square stud hole fits most US made size 32 meat grinders. May not fit properly on Weston, LEM, Bass Pro, Cabela's or other light duty Chinese made meat grinders. 9/29/2015 – will fit my #32 Enterprise MF/C PHILA.U.S.A ? ?